I love peanut butter, so I always have a jar of it in the house. There are some store-bought brands that I adore but they contain artificial ingredients and sugar. In an effort to eat more all-natural and healthy foods I tried some organic peanut butter brands. For a lack of better words, they tend to be gross and “blah.” Yup, that’s a technical term. 😉 I hate how the oil separates from the peanut paste even when it’s stored in the refrigerator. Plus it’s so thick that it’s not tasty or enjoyable to eat. I never thought of making peanut butter. Maybe it’s because I never had a food processor, which is essential to making a successful batch of it. A couple of years ago my husband and I finally bought one and it’s taken me this long to realize I should try making peanut butter. The results? It’s the best! I know there are exactly three ingredients in it, peanuts, peanut oil, and salt. It’s super simple to make and it tastes great. It tastes like…wait for it…peanuts! Place the peanuts and salt into a food processor and process for 1 minute. Slowly drizzle the oil in and process it for 2 to 6 minutes until it’s the consistency you like. 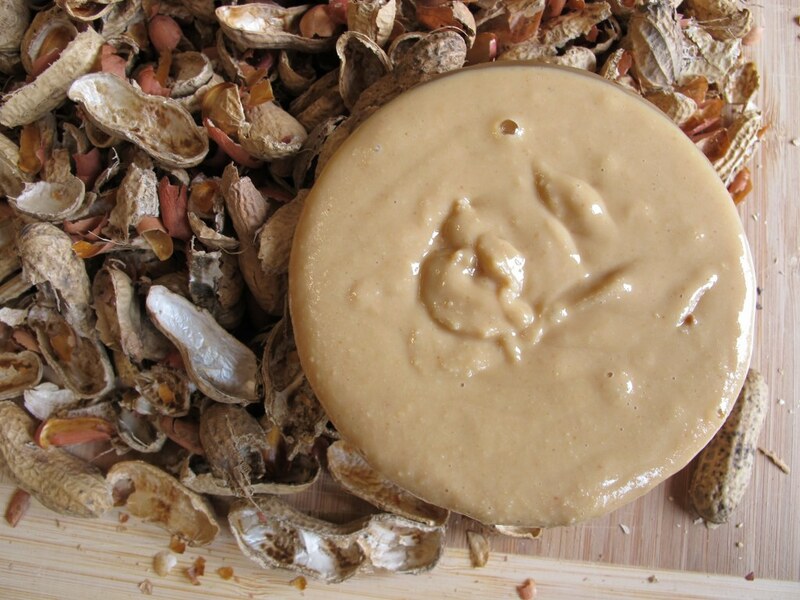 Store the peanut butter in an airtight container in the refrigerator for up to 2 to 3 months. The time it takes to make peanut butter will completely depend on two things: 1) how good your food processor is and 2) what consistency of peanut butter you prefer. 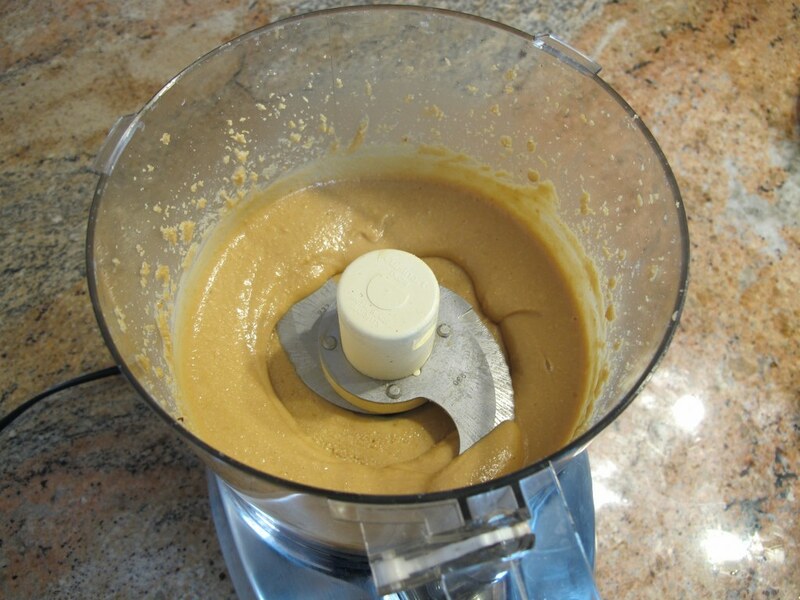 My food processor is powerful and it took me about 5 minutes to make creamy peanut butter. Even if you have to adjust the time, I wanted to give you an idea of how long the process could take because I sometimes question whether I’m running it too long or not long enough. I think it took me longer to clean out the food processor container than it did to make this fabulous peanut butter! Honestly this recipe could not be more simple to make. The food processor generates some heat while it’s running so your peanut butter will start out a tad thin and a little warm. I took these pictures right after I made it so that’s why you see it dripping down the sides of the bowl. It’s still mad yummy though! Don’t worry, it will firm up once it’s been in the refrigerator for a few hours. 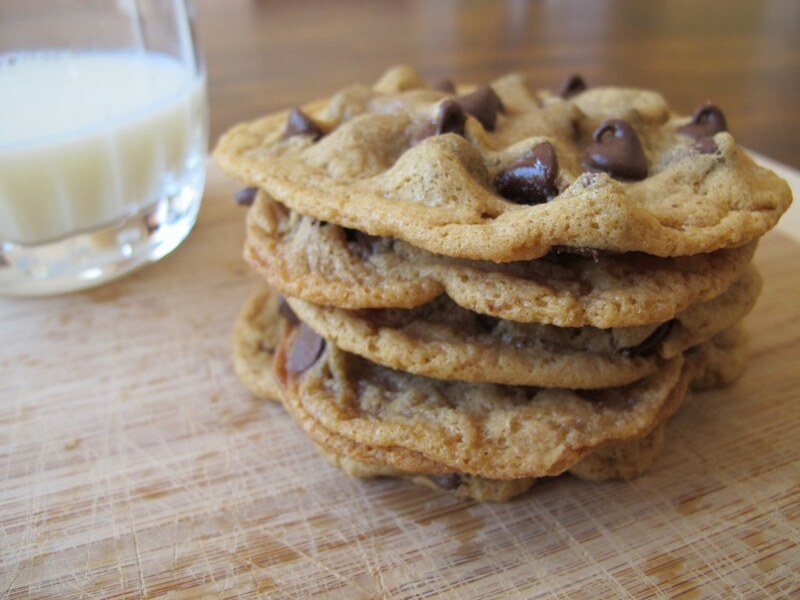 It should be noted that this recipe only yields about 1 cup of peanut butter but you may want more than that. If you do, you should stick to one recipe worth of ingredients at a time in your food processor because it’s very thick and could damage it. By making multiple batches one after another you really save a lot of cleaning time too. Peanut butter is a great source of protein so it’s a staple in my diet. I love eating it with an apple or with whole wheat bread. Sometimes I’ll even just eat a quick teaspoon of it if I’m in a rush out the door, like right before I go to my kick boxing class. 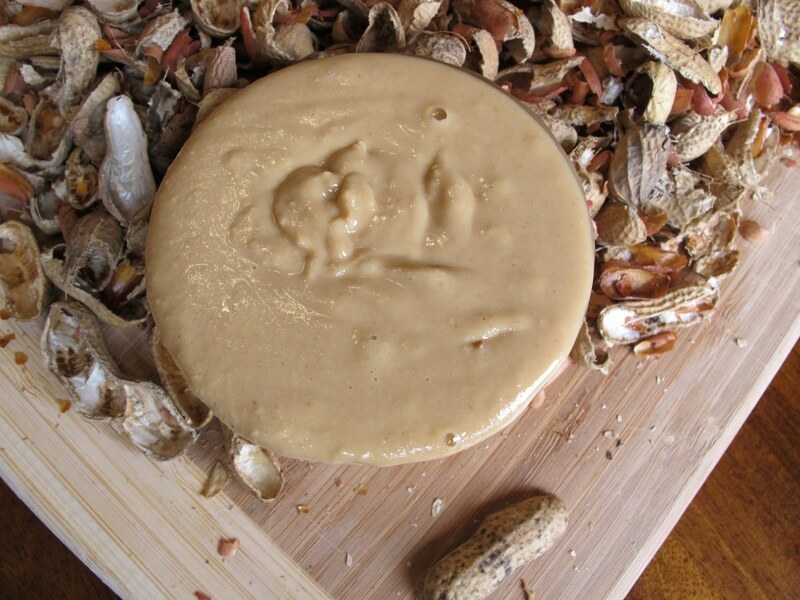 Don’t forget to store your homemade peanut butter in the refrigerator to help prevent the oil from separating. 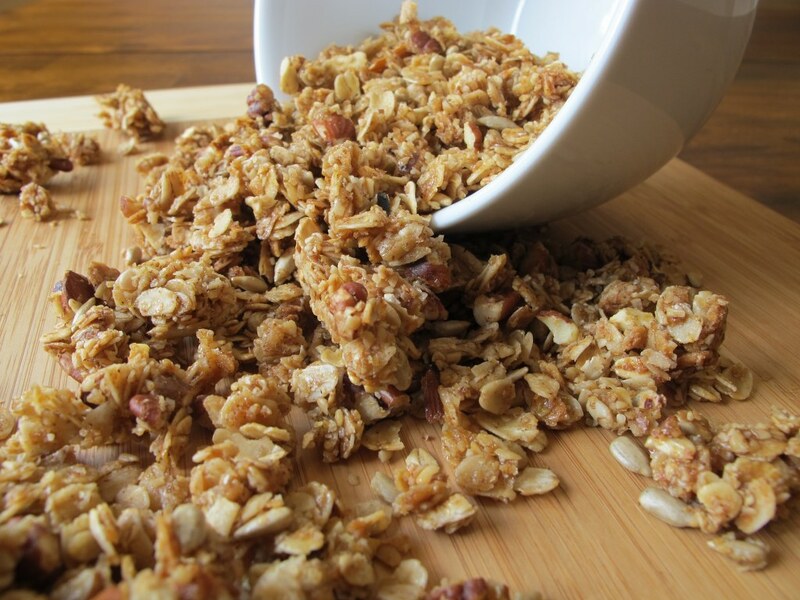 Homemade Granola goes amazing with homemade peanut butter! I love making my own peanut butter! Sometimes I add chocolate chips to it to make chocolate peanut butter. It’s amazing how easy it is and is definitely cheaper than buying it. Chocolate peanut butter sounds amazing! I’ve seen some recipes for hazelnut spread and that looks delish too. 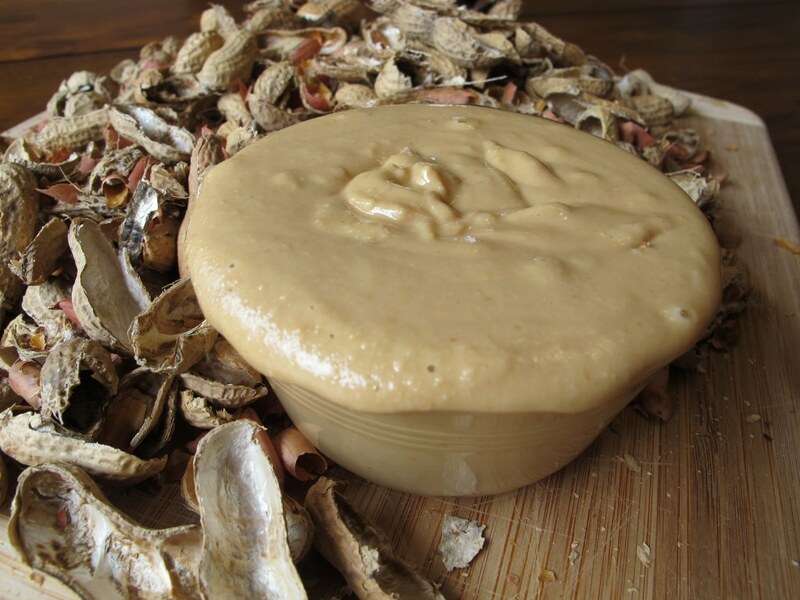 I’ve never made a homemade nutbutter, but I totally should! I burnt out my really nice, expensive food processor making black bean brownies a few months ago, but my tiny $15 one chugs through pretty much anything. I think it’s up to the task! Thakns for sharing. My hand mixer broke while trying to make peanut butter cookies a few years back, so I can relate. 🙂 I hope your little processor can make it! I seriously need to make 2 or 3 batches in one day because I go through it so quickly! I do have to agree with your technical term when it comes to most store bought “anything”, in that matter. This seems super easy…going to have to do this real soon! I absolutely adore making peanut butter–throw in a glob of honey, a dash of cinnamon, and a sprinkle of ginger, and you’ve got a real treat on your hands that tastes just like Christmas!